In this Case presentation, Dr. Mina Charopeme, presented a case with images of a child with a fracture anterior tooth and the end results of his treatment. Patient is an 11 year old Male child. He has a history of a trauma at age of 9 that was restored by fractured fragment of the tooth. 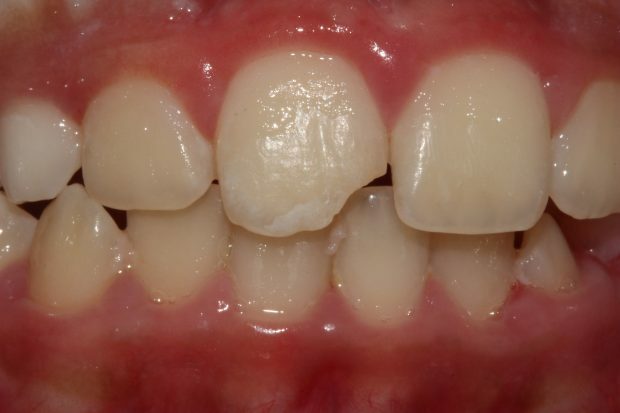 Later, It had another trauma after 1 year which was restored by composite. After 6 months the composite came out due to eating carmel. The patient came for treatment due to an important event, which was eventually treated by composite.